Methane is a supercharged global warming pollutant that is 87 times more potent than carbon dioxide over a 20-year time scale. In the United States, the oil and gas industry is the largest industrial source of methane pollution—releasing 33 percent of all methane emissions in 2014. 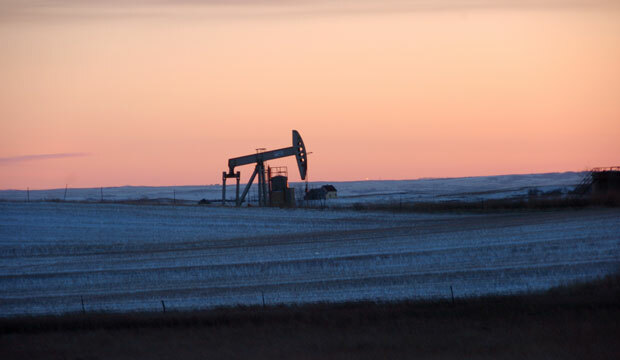 As part of its broader climate change mitigation strategy, the Obama administration set a goal of reducing methane emissions from the oil and gas sector by 40 percent to 45 percent from 2012 emissions levels by 2025. In May 2016, the U.S. Environmental Protection Agency, or EPA, finalized limits on methane emissions from new sources in the oil and gas sector. Although the limits on pollution from new and modified sources are important, the EPA will also have to set strong standards for existing wells and equipment—meaning those that are already in operation—in order to achieve the administration’s methane emissions reduction goal. The EPA has initiated an information collection process to help shape a future rule-making on existing sources. The Bureau of Land Management, or BLM, also is moving forward with rules to reduce methane leaks from oil and gas production on public and Native American lands. The EPA already collects facility-level greenhouse gas data from the top emitting sectors of the U.S. economy through the Greenhouse Gas Reporting Program, or GHGRP. The Center for American Progress analyzed these data for 2014—the most recent data available—to identify which companies in the onshore oil and gas production sector are responsible for the most methane emissions and which regions of the country experience the most methane pollution. The onshore oil and gas production sector’s methane emissions totaled more than 48 million metric tons of carbon dioxide equivalent, or CO2e, in 2014. This is the equivalent of 14 coal-fired power plants powered for one year, according to the EPA’s conservative methodology for calculating emissions equivalency. Eleven companies were responsible for almost half—49 percent—of the methane emissions reported from onshore oil and gas production in 2014. The EPA collected methane emissions data from 211 companies in this sector in 2014. ConocoPhillips, ExxonMobil, Chesapeake Energy, EOG Resources Inc., and BP America ranked first through fifth for the most methane emissions from onshore production. However, the biggest emitters were not necessarily the biggest natural gas producers. For example, ConocoPhillips—the top methane emitter from onshore oil and gas production—was the sixth largest natural gas producer in 2014. EOG Resources Inc., which ranked fourth for methane emissions, was the 14th largest natural gas producer that same year. The parts of the country experiencing the most methane pollution from onshore oil and gas production include the following: the Anadarko Basin of Colorado, Kansas, Oklahoma, and Texas; the Gulf Coast Basin of Louisiana and Texas; the San Juan Basin of Colorado and New Mexico; the Permian Basin of New Mexico and Texas; and the Appalachian Basin in the eastern part of the United States. The San Juan Basin of Colorado and New Mexico experienced the most methane emissions per well in 2014, followed by the Arkoma Basin of Arkansas and Oklahoma; the Strawn Basin of Texas; the Green River Basin of Colorado and Wyoming; and the Uinta Basin of Utah. These EPA data show that oil and gas wells already in operation are releasing significant volumes of methane across the United States. The best way to curb these emissions is for the EPA to set strong mandatory standards for existing sources in the oil and gas sector in order to complement the new source standards finalized in May 2016. The BLM also should finalize a strong rule that ensures oil and gas companies find and repair wasteful methane leaks in their operations on public and Native American lands. Alison Cassady is the Director of Domestic Energy Policy at the Center for American Progress. *Correction, June 21, 2016: This report incorrectly identified one of the methane emitters in the study. The company’s correct name is Samson Resources Corp.